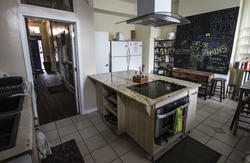 Come enjoy this recently renovated (2013 - new roof top patio lounge, new computers) hostel right in the center of downtown DC, providing great stays for backpackers, young professional, interns and more. Once you have checked in, we have no curfew so you can come and go as you please. Every door has a security lock on it. 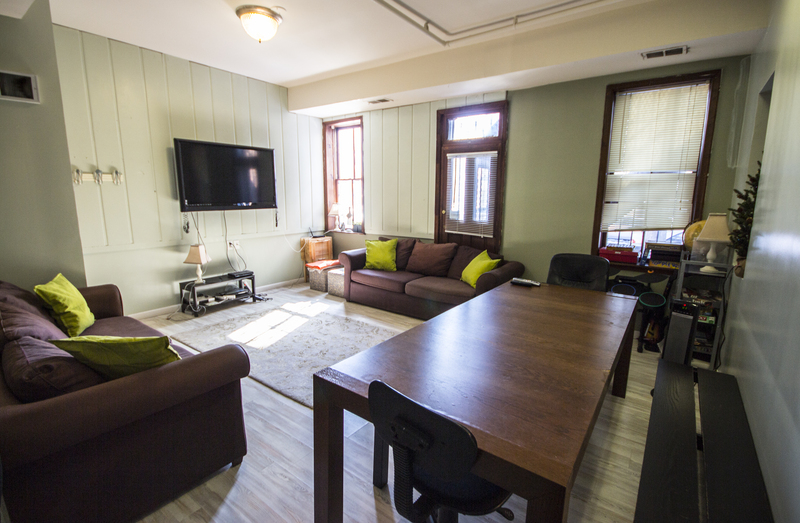 We have free Wi-Fi throughout the building as well as free Internet access in the common area. We can also weigh your luggage for free - handy for cramming your luggage before a flight! 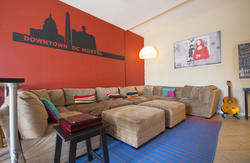 We're only a few minutes walk from Chinatown metro station and Union station, where all the buses coming into DC stop. From here you can easily get to the White House, the Convention Centre, Chinatown, the Capitol, Library of Congress, the Smithsonian Institute and the Supreme Court. We offer hotel-like luxury with a home-like feel and hostel prices! FREE coffee, tea, sugar, creamers, cooking materials (oil, salt) and pancakes all day! Please note that without previous approval, we only accept guests between 17 and 65 years of age. Walk one block to letter 'i' street. Then take right on i street going east and walk for three blocks. 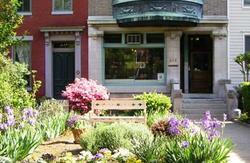 You will see our red brick historical mansion-building on the left! Important! Don't be confused - 'i' street continues after joining Massachusetts Ave and 5th street! Just slightly moves to the left - just walk pass bicycle place. At Curb 2E, take the 5A bus towards L'Enfant Plaza Metro. At L'Enfant Plaza, take the green/yellow line metro to Chinatown metro station in the direction of Greenbelt/Fort Totten. As you exit the metro, follow the walking directions as above. Take the yellow line metro Metro towards Fort Totten to Chinatown metro station. As you exit the metro, follow the walking directions as above. Walk on Massachusetts Ave towards downtown (west) and take a right on 3rd Street NW. You'll see us at the intersection of 'i' street and 3rd street NW. If you miss 3rd street, take a right on 4rd street. Walk south towards Union Station on 1st NE for two or three blocks to the Union Station metro entrance. Then follow walking directions from Union Square as above. Take the B30 bus towards Greenbelt station, and then take the Green line metro to Chinatown station in the direction of Brand Avenue. As you exit, follow the walking directions as above.